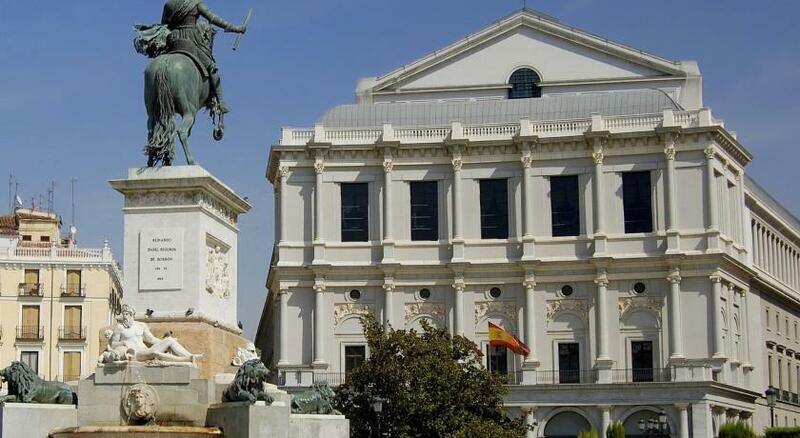 Lock in a great price for Hostal Central Palace Madrid – rated 9.4 by recent guests! Service was incredible- both check in and out was easy and friendly - staff went above and beyond. Such good value for money - luxury feel. Everything. Alina at reception was absolutely fantastic. 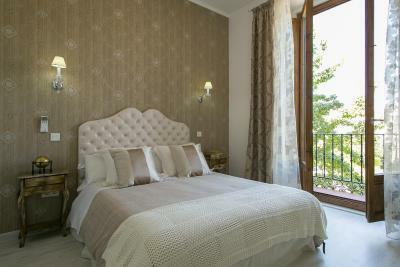 The hotel is beautifully located, well priced and very comfortable. The palace facing room has the most divine view. The receptionist was amazing! Very helpful and informative. We had a view of the Palace from our window. We could walk everywhere. Location, location! Really clean and quiet room. 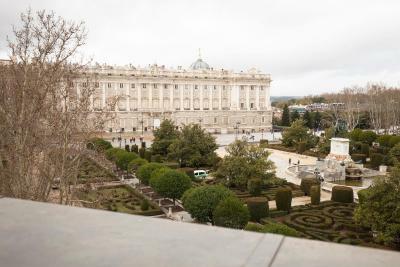 View from the room to the Palacio Real amazing. Room big enough. 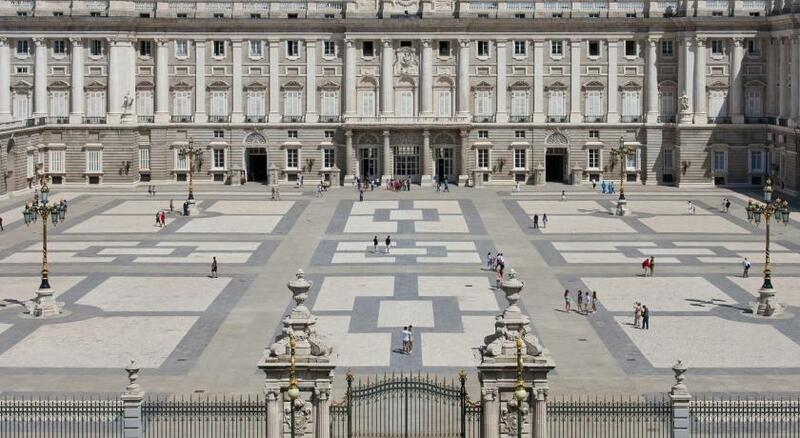 The location was the best - right in front of the Royal Palace. Check in was easy even though we arrived after midnight. Staff was friendly and room was very clean! 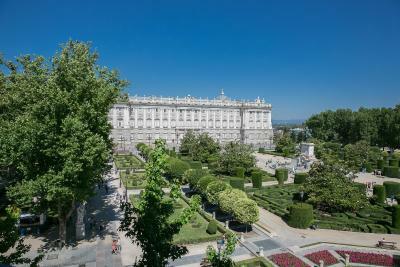 We wish the hotel had a few more amentiies (though there was a rooftop to view the gardens) but overall a great stay!! Easy to walk everywhere and the train station was only 3 mins walk away. 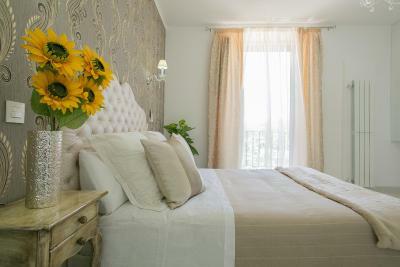 We would recommend staying here if you want more of a boutique smaller feel hotel vs. big chain! 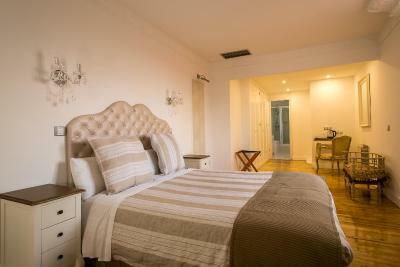 Excellent location, close to everything while quite and peaceful at night. Clean, well equipped room. A friendly and helpful staff. Everything we look for in our accommodations. Will definitely stay here again. What a gem of a hostal!! The location is superb and the views!! 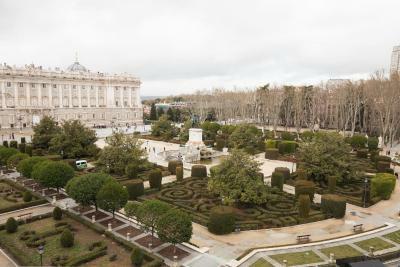 I opened my balcony windows to gaze on the presidential palace and gardens! 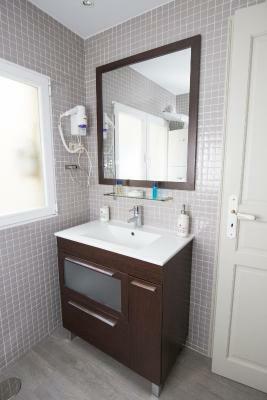 Sparkling clean, modern, attractive and located in a residential building. 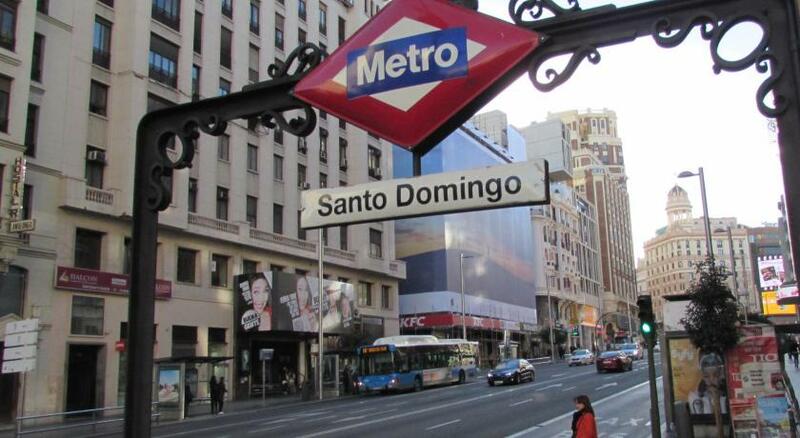 - gave me a feeling of living in Madrid! 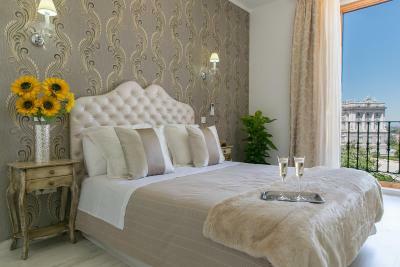 The rooms are simply beautiful!! You think you’re in a 5 star hotel! The checkin deak is so helpful- ready to answer questions, fix any issues, and just chat!! And did I mention the superb location!! I will be back and soon I hope!! 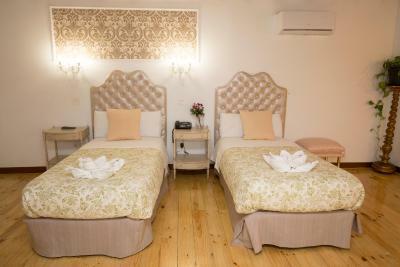 Hostal Central Palace Madrid This rating is a reflection of how the property compares to the industry standard when it comes to price, facilities and services available. It's based on a self-evaluation by the property. Use this rating to help choose your stay! 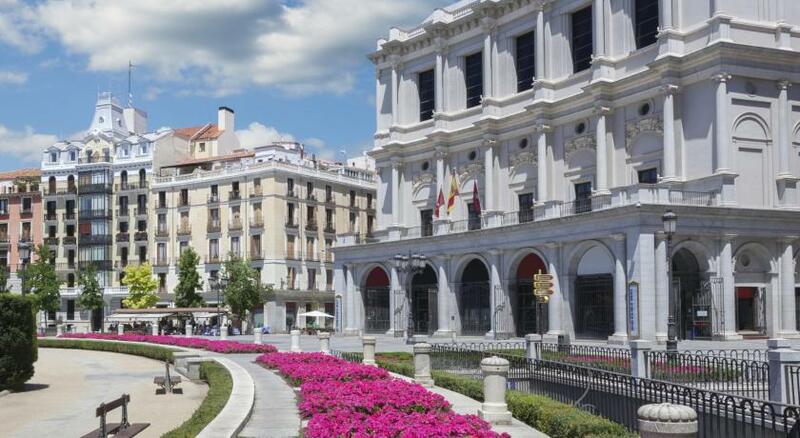 One of our top picks in Madrid – and a guest favorite. 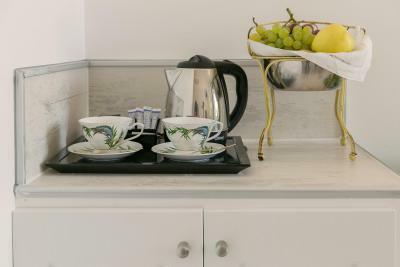 Centrally located overlooking the Royal Palace and Sabatini Gardens in Madrid’s Plaza de Oriente, this elegant guest house offers 24-hour reception and free WiFi. 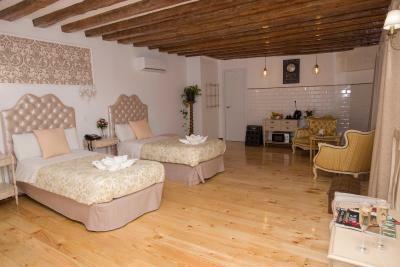 The spacious rooms at Hostal Central Palace Madrid feature wooden floors and classic décor. 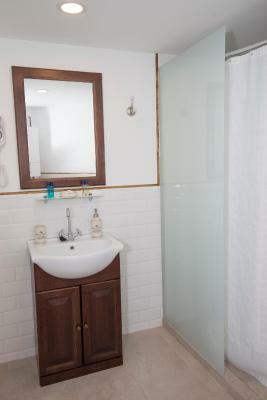 They all feature a private bathroom with shower and a hairdryer and toiletries. 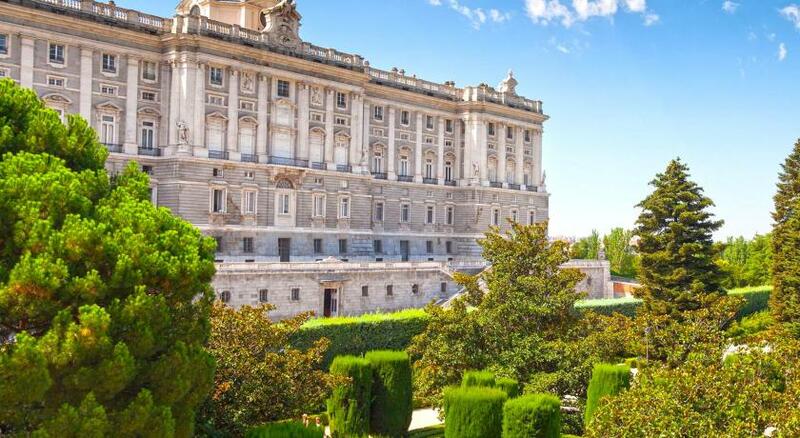 Some rooms offer views of the Royal Palace, Almudena Cathedral and the Sabatini Gardens. 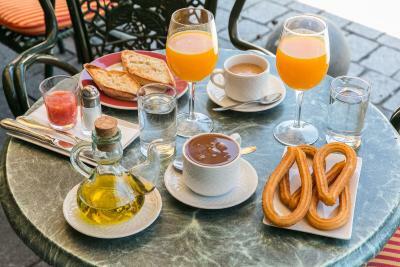 A breakfast is served every morning at the cafeteria located downstairs; and many shops, bars and restaurants are within a short walk. Luggage storage is offered. 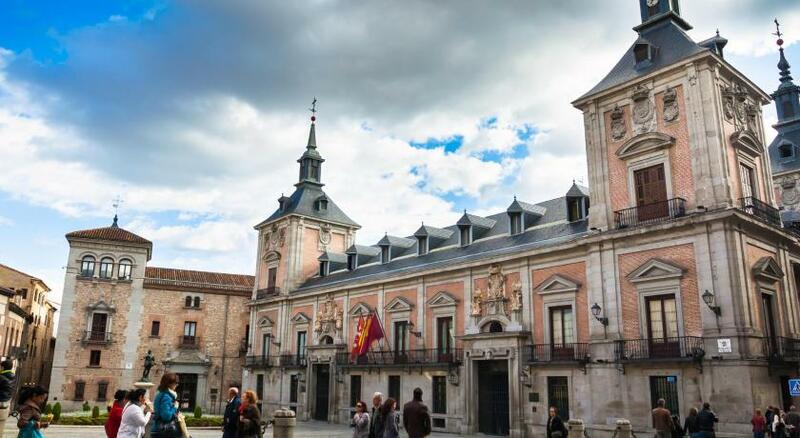 Staff at reception can provide information about what to see and do in Madrid. There are also various car parks within a short walk. 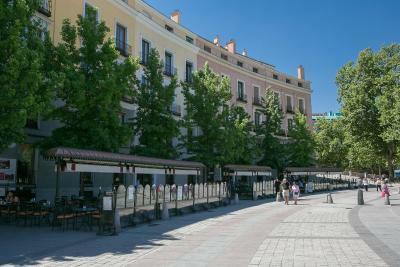 Hostal Central Palace Madrid is the only guest house located in the Plaza de Oriente square, opposite the Royal Palace. 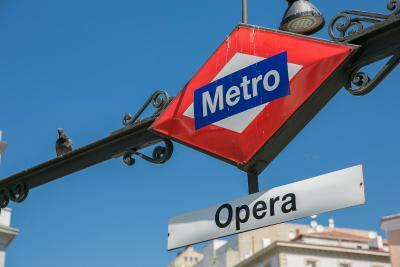 It is 650 feet from Opera Metro Station and 10 minutes’ walk from Puerta del Sol. 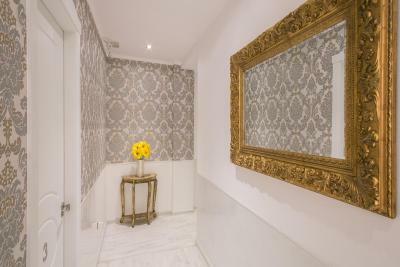 뀐 Located in the real heart of Madrid, this property has an excellent location score of 9.8! 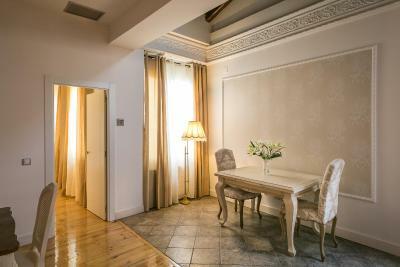 When would you like to stay at Hostal Central Palace Madrid? 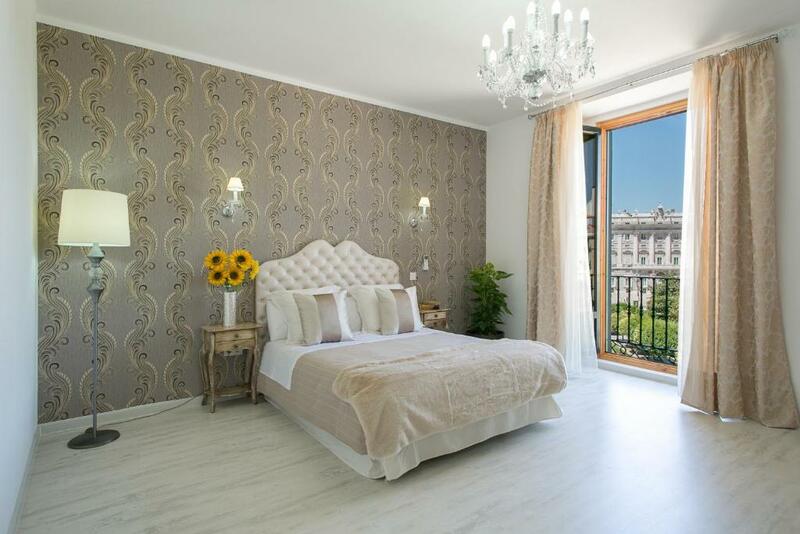 This spacious double room has a wonderful view of Madrid's Royal Palace. 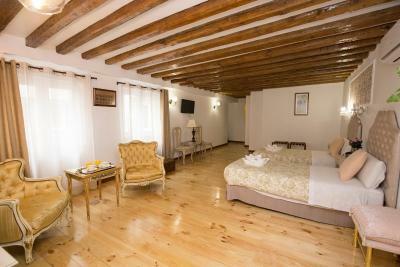 It has classic decor and wooden floors. There is a TV, fridge, safe, electric kettle and a private bathroom with a hairdryer and toiletries. 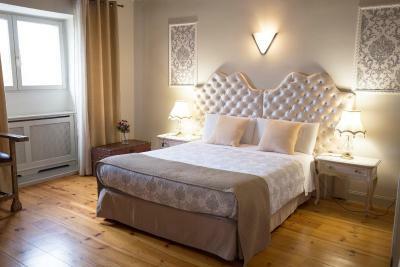 This spacious room features classic décor and wooden floors. 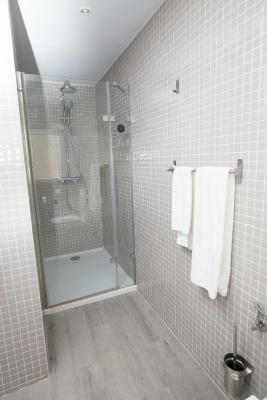 It has free Wi-Fi, TV and a private bathroom with a hairdryer and toiletries. The room also includes a safe. Please note this room is interior facing. There is no balcony or city views. Overlooking an interior courtyard, this spacious and bright room features classic décor and wooden floors. It has free Wi-Fi, TV and a private bathroom with a hairdryer and toiletries. 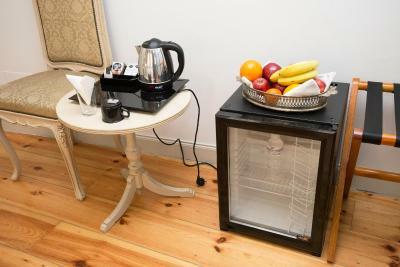 The room also includes a safe, fridge, electric kettle, air conditioning, heating. An iron is available upon request. 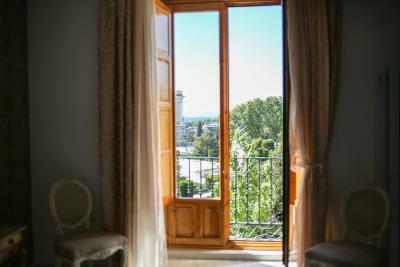 Located on the top floor, and overlooking the Royal Palace, this luxury air-conditioned double room features an entrance accessible by stairs. It comes with a separate seating area with coffee and tea facilities. 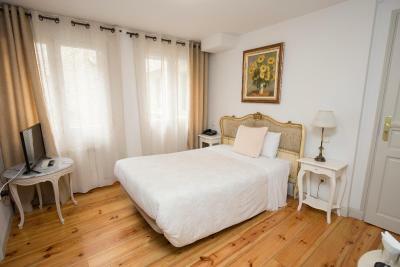 This spacious room features a classic décor and wooden floors. 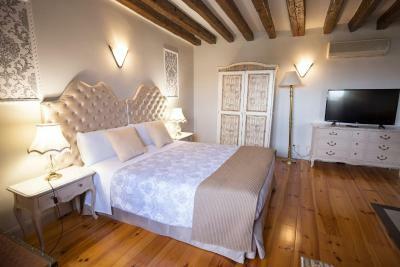 It comes with twin beds and has free Wi-Fi, TV and a private bathroom with a hairdryer and toiletries. The room also includes a safe. 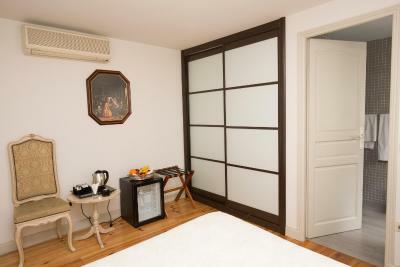 This room features a classic décor and wooden floors. 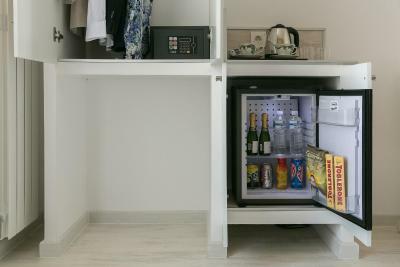 It comes with free Wi-Fi, TV and a private bathroom with a hairdryer and toiletries. The room also includes a safe. 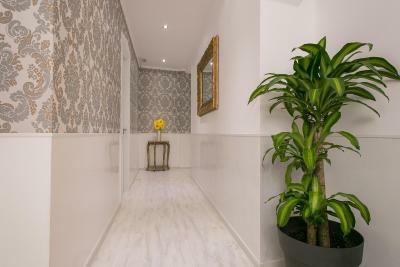 House Rules Hostal Central Palace Madrid takes special requests – add in the next step! 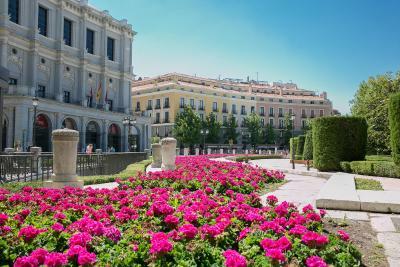 Hostal Central Palace Madrid accepts these cards and reserves the right to temporarily hold an amount prior to arrival. The soap, shampoo and toilet paper are of a poor standard, the cheapest possible. The hot and cold taps in the shower are labelled incorrectly which took me a while to work out. 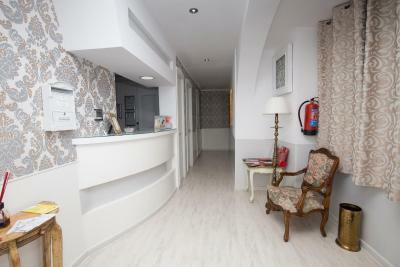 The hotel is located in the very heart of Madrid, perfectly placed for all the sites, museums and restaurants. However, due to being in a pedestrian area it is also very peaceful here. You really could not be more central. 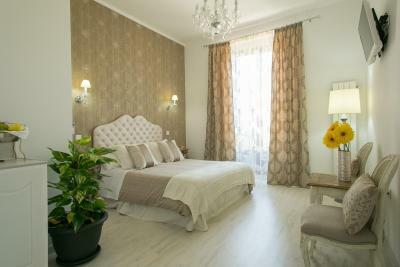 The staff were very helpful and the room was large, comfortable and spotlessly clean. 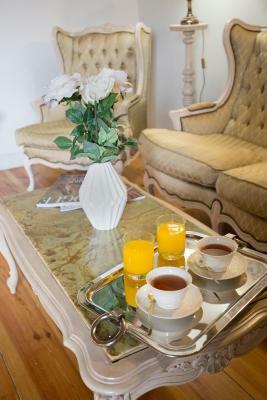 Alina was lovely and welcoming and gave us some wonderful recommendations! No breakfast but a bakery and a cafe is "in the house" in front of the Royal Palast!!! The staffs were incredible. Exceptional service. Homey and cozy. Someone canceled the room so we got upgraded to super nice room with amazing view. The staff also helped to book the restaurant and taxi. And taxi stopped just right in front of the place. Very convenient. The entrance is a bit tricky to get in with couple of steps to go the lift but not an issue or deal breaker at all. You can't beat the location and view. Highly recommend and will definitely stay here again. Only 1 pillow provided to each guest which was a very firm memory foam. A choice of softer pillows would have been appreciated and because of a poor nights sleep would not like to stay any longer than 2 nights. 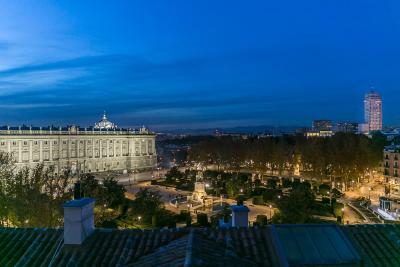 Amazing location, superb room with a view of the royal palace. Really appreciated tea and coffee making facilities and fridge. Complimentary wine. 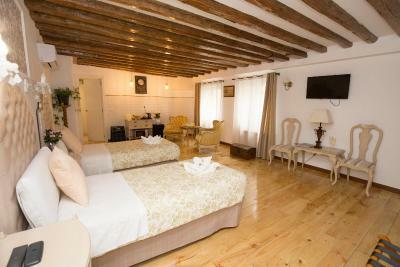 Great location, great room ... so nice to stay in this accommodation! New law, car not allow into this area. No one told me. Best is to come by train or taxi. one of the best hotels I have stayed in. 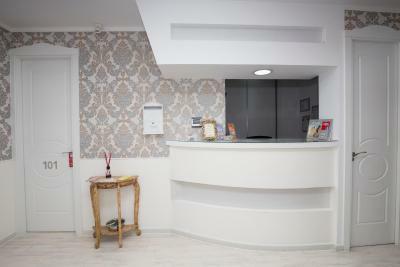 the staff were very friendly , helpful and welcoming. excellent location. this was my first time visiting Spain and I am so glad I stayed here. The view from the room was not so good. I enjoyed the breakfast at the restaurant. Free water and champagne when I came to the room was nice. Ask for the rooms facing the center! 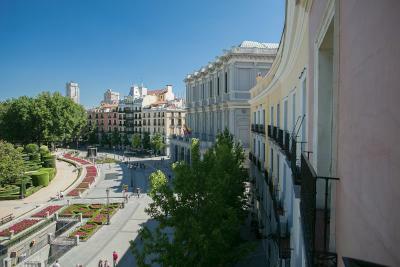 This is my to go spot to stay in Madrid, hands down. 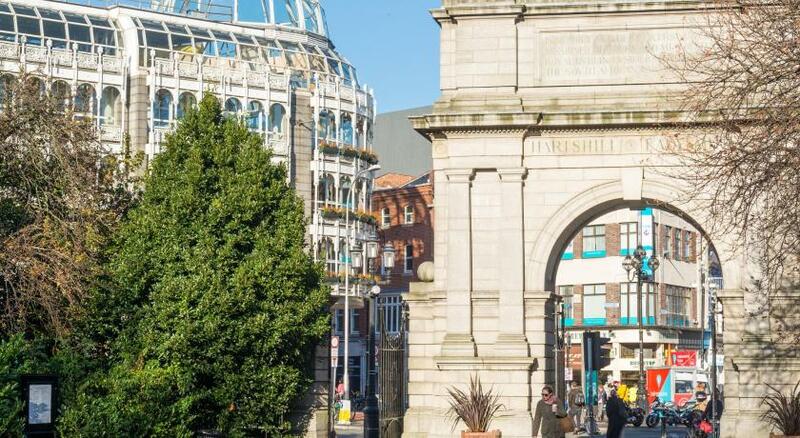 A beautiful hotel/hostel in the heart of town. I couldn't be more pleased!